EDC draws hundreds of thousands of revelers to the Las Vegas Motor Speedway for three hot nights in the summer. And while this year’s lineup is a stellar one—with headliners such as Diplo, Kaskade, Marshmello, Martin Garrix and Zedd—the road to the music festival is fraught with buzzkilling traffic. 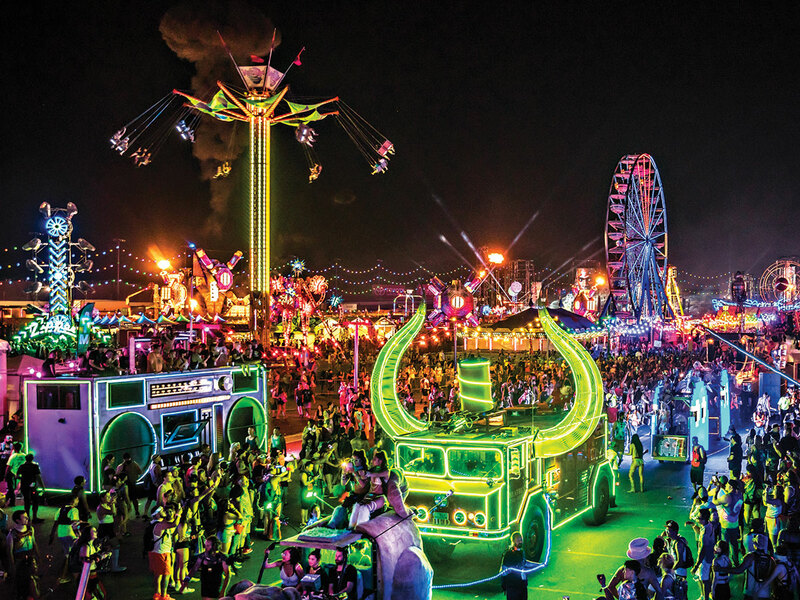 Skip the road altogether and hop on Maverick Helicopters, which has been elevating festivalgoers’ experience since EDC landed in Las Vegas in 2011. With growing attendance year after year (400,000 in 2017), it’s a service that’s as much luxury as it is necessity. The VIP amenities include a 6,000-square-foot flight lounge offering specialty cocktails, a photo op and a DJ, and the 15-minute ride to the Speedway on the ECO-star aircraft, with its theater-style leather seating, gives you an unforgettable view of the Las Vegas Strip and the festival grounds. And you never know who might be on the ride with you. How do you think the likes of Tiësto and Calvin Harris get to the stage?